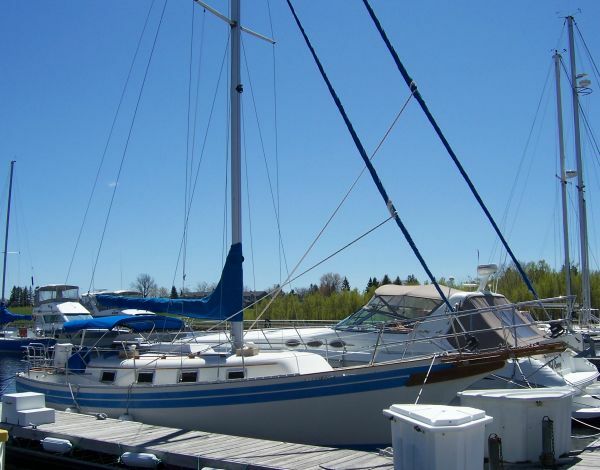 1987 Gozzard designed Bayfield 32C sailboat is the tall rig version. 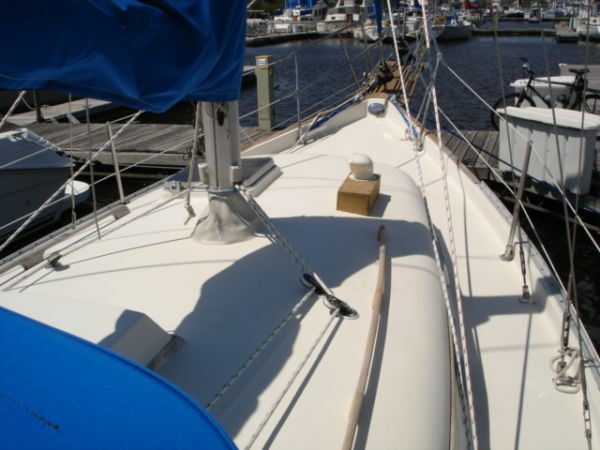 This cutter rigged boat features roller furling on both Headsails. 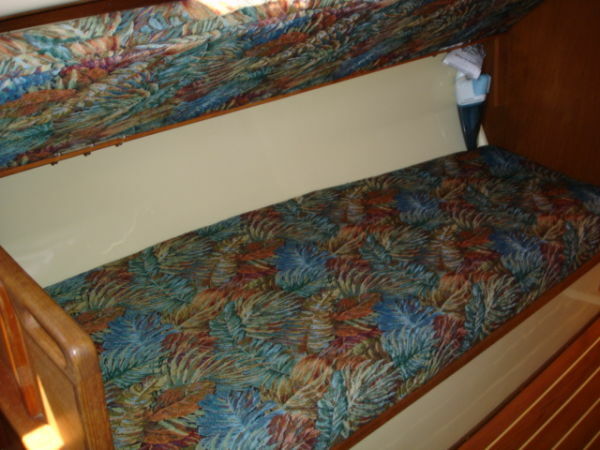 The cabin is roomy with berths for 6. Wallas Heater fully ducted installed 2017 keeps the cabin toasty warm. 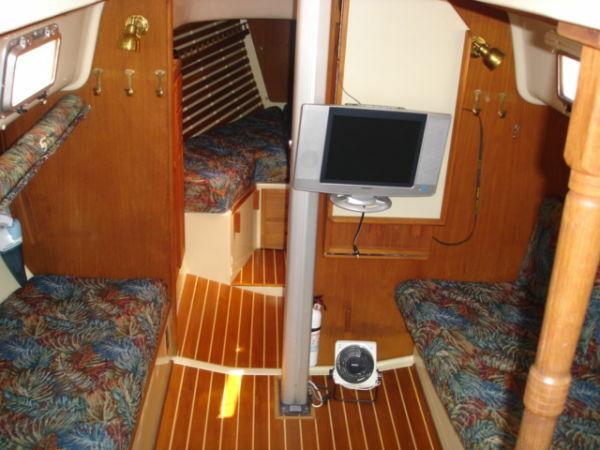 A fold out nav station, plenty of storage, loads of teak, 8 opening ports & a screened forward hatch to keep the cabin well ventilated. 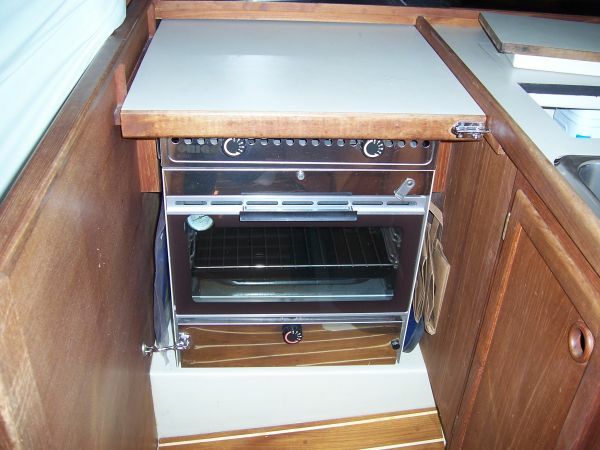 The starboard galley features a 2 burner alcohol stove with oven and stainless steel sink with pressurized water. 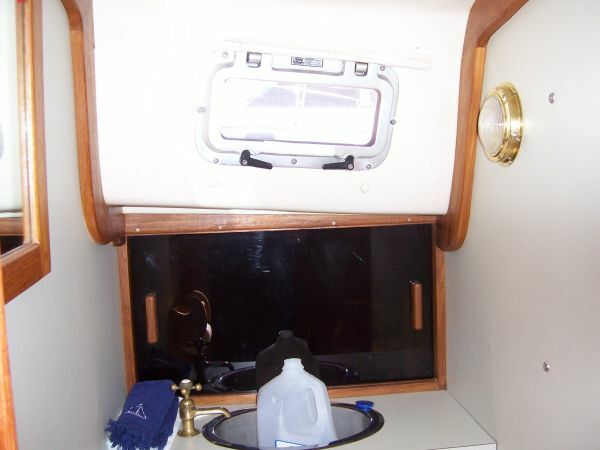 Brass accents give the interior a truly "salty" appearance. 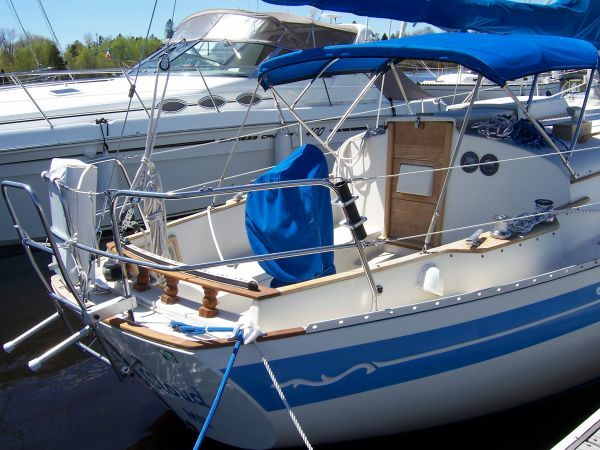 The sky blue accent stripes on the hull coupled with the blue canvas make this boat very appealing to the eye. 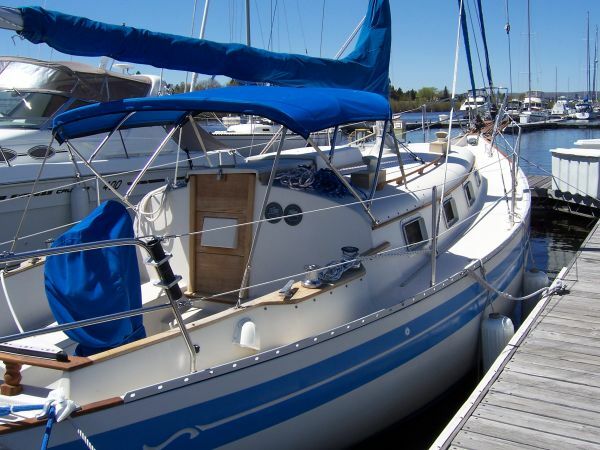 Don't miss out on this great boat, well worth a look. 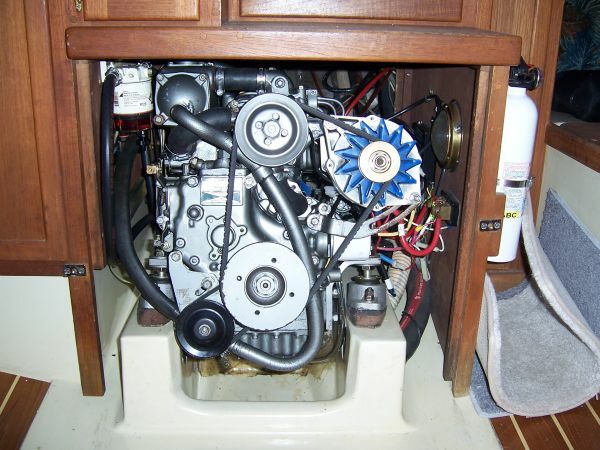 Marine survey done in 2009 found boat to be in near bristol condition. 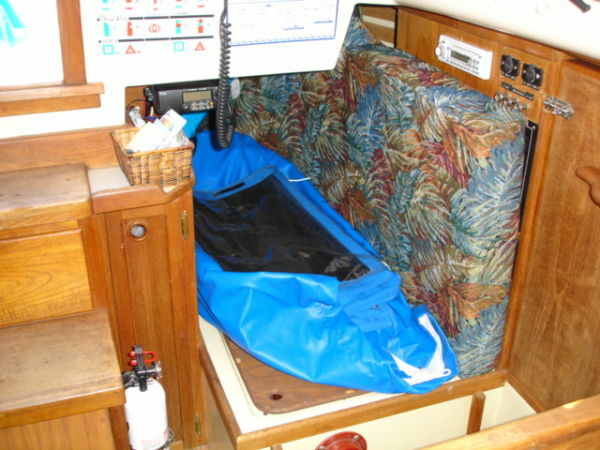 Present owner has kept the boat in the same condition since then. 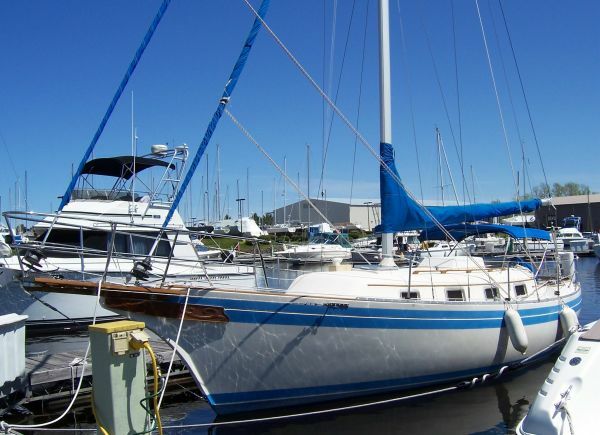 1987 Gozzard designed Bayfield 32C sailboat is the full rig version. 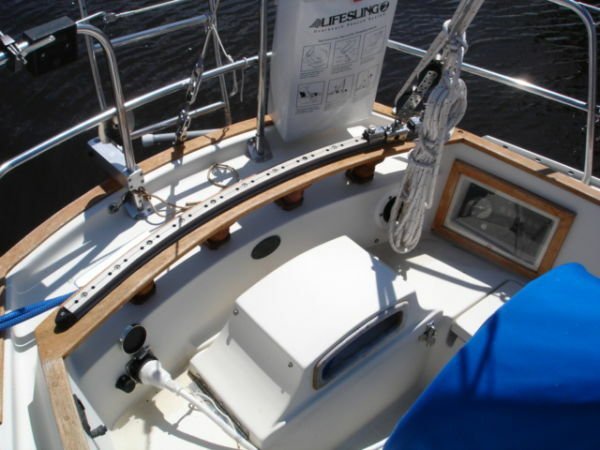 This cutler rigged boat features roller furling on both foresails to keep you safe in the cockpit. 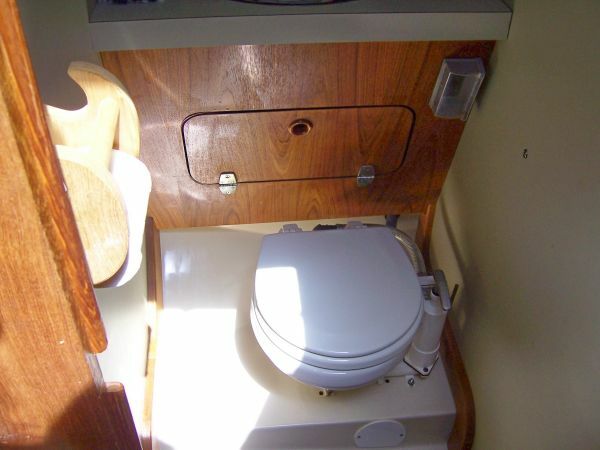 The inside is roomy with berthing for 6, a fold out nav station, plenty of storage, loads of teak, 8 opening ports & a screened forward hatch to keep the cabin well ventilated. 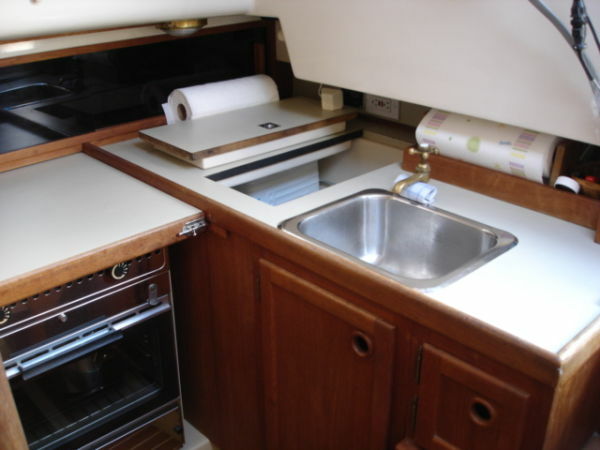 The starboard galley features a 2 burner alcohol stove with oven and stainless steel sink with pressurized water. 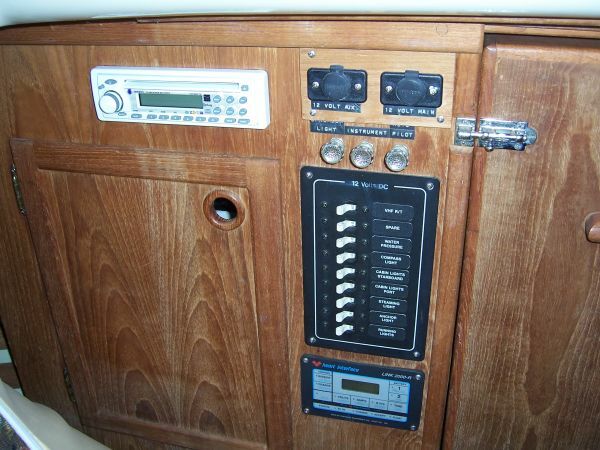 Brass accents give the interior a truly "salty" appearance. 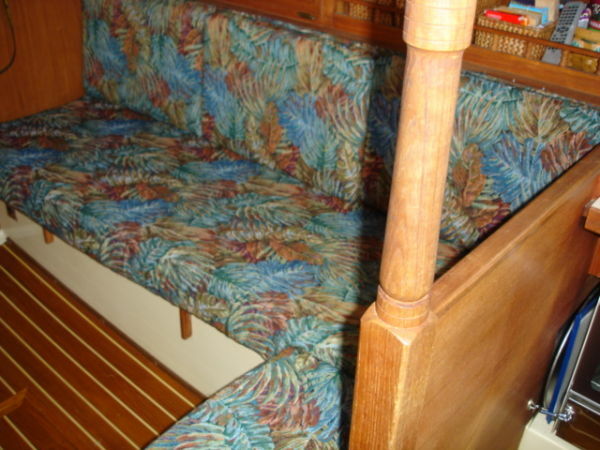 The sky blue accent stripes on the hull coupled with the blue canvas make this boat very appealing to the eye. 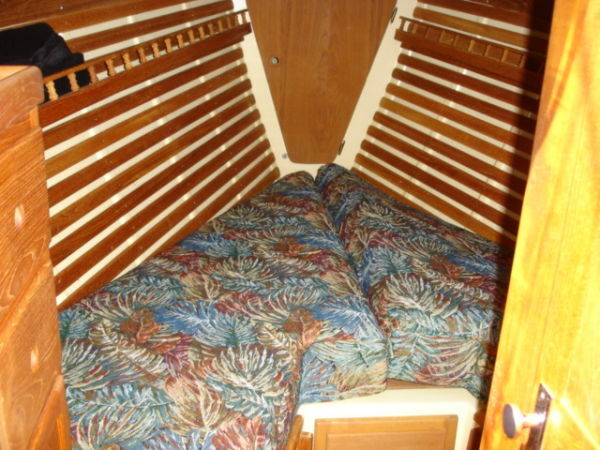 Don't miss out on this great boat, well worth a look.